18.6% is the poverty rate in New York City. Greg David and Cara Eisenpress, both from Crain's New York Business and the Craig Newmark Graduate School of Journalism at CUNY, discuss their recent reporting exploring New York City's safety net, how it's funded, and how it compares to other places, while showing that the city's robust safety net is made possible by the city's vast inequality and tax structure. When the dust settles on the 2018 elections, whoever is governing the state will be faced with problems like what to do about NYCHA and the MTA, and how New York should respond to climate change, among many others. Another pressing issue that has been an area of focus in many campaigns around the state, from the governor’s race through those for the state Senate, is taxes, and what the next governor and Legislature will or won’t do about them in a number of ways, including the ongoing question of how New York must adjust to the new federal tax code. Though proposals and arguments have often been hazy, the issue of taxes has been among the most discussed this election season and will be a topic of significant debate when the new state government starts doing business in January. The contours of those discussions and the actual proposals put forward will vary greatly depending on the outcomes of the governor’s race and which party controls the state Senate (the Assembly is home to an overwhelming Democratic majority). Marc Molinaro, the Republican nominee for governor, has pitched his candidacy largely based on a plan that he says will lead to a 30 percent reduction in property taxes for New Yorkers over five years, but the party’s state Senate conference, hoping to cling to a one-seat majority during a promising year for the opposition, has mostly stuck to arguing that Democrats will increase taxes to previously unseen levels if given full control of state government. For their part, Democrats have been quieter on taxes, with Governor Andrew Cuomo promising to extend the state’s property tax cap and keep state spending to two percent annual increases, even as some members of his party’s Senate slate push for things like state-run single-payer healthcare and a polluter’s tax -- neither of which Cuomo supports. Running for a third term, Cuomo has said little else about taxes, despite the fact that his attempts to thwart the impact of the federal tax reform have thus far not panned out, the state’s current millionaires tax is set to expire next year, the state is facing upcoming budget gaps, and the state-run MTA is in need of tens of billions of dollars to get the New York City subway system functioning properly. Molinaro has made broad tax reform one of the centerpieces of his campaign, along with restoring trust in government and generally being a governor who isn’t followed by corruption investigations. His tax plan proposes reductions across the board, from the end of the millionaires tax to an expansion of the earned income tax credit to childless workers and noncustodial parents and the indexing the state’s income tax brackets, standard deduction and dependent exemptions to inflation (a move that Molinaro says prevents a filer’s tax bracket increasing due to inflation without any real change in their earning power). Molinaro wants to limit annual state spending increases to three percent, but wants that cap codified into state law, unlike Cuomo’s two percent cap, which is self-imposed and the governor, despite his claims to the contrary, has not completely kept to. The Dutchess county executive’s plan has “a lot of good elements in it and establishes some very worthy and desirable goals,” according to E.J. McMahon, the founder and research director of the conservative Empire Center of New York, although McMahon said he didn’t think the math behind the plan added up to the promised 30 percent reduction in property taxes. Asked repeatedly throughout the campaign, Molinaro has not laid out exactly how he would get there, only promising in broad terms to modernize state government, find efficiencies, and more effectively deliver services. On the Democratic side, clarity also doesn’t come easy. 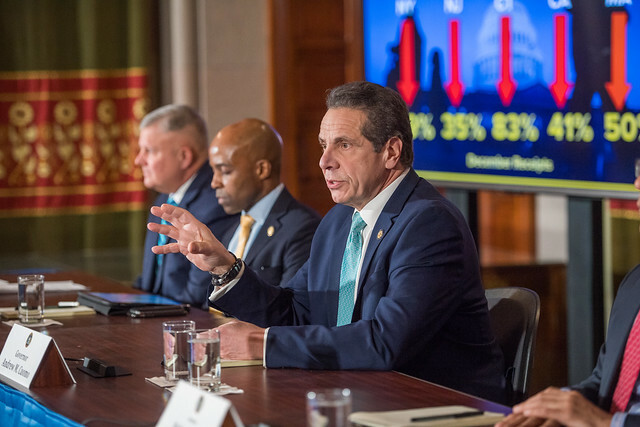 Cuomo’s priorities on socially liberal but fiscally moderate governance can be seen most clearly in something like his Long Island Senate Democratic Agenda, but even that plan lacks specifics and has seemingly competing priorities. On the one hand, the agenda lays out a promise to keep the two percent property tax cap and the two percent spending cap going, while also promising “historic tax cuts.” On the other hand, there are promises to include Long Island in increased infrastructure, education, and economic development funding. Cuomo has resisted calls for a New York City-based addition to the millionaires tax, recently pitting his philosophy against Mayor Bill de Blasio in sarcastic terms, saying, “'[W]ell, ideally we would like to have a millionaires tax.' Yes, I wish I could be an elected official who lived in the ideal,” at a gathering of the Association for A Better New York, a business group. He also explicitly cast himself as a different kind of politician than legislators and local politicians “who like to spend” at a speech in front of the Business Council of New York, boasting that he has overseen lower year-over-year state spending increases than previous governors including Republicans and his father. Part of the lack of clarity on the Democratic side has to do with the uncertainty of where the party will be after the general election. A newly won Senate majority may rely on seats outside New York City, which would require a collaboration of city, suburban, and upstate interests that don’t always align perfectly. And even as Democrats in swing districts run on platforms that include single-payer healthcare in New York, they are pledging not to increase the taxes that would fund it, and many are seeking to represent high-tax Long Island and north-of-the-city areas very sensitive to any additional tax increases and another election right around the corner in 2020, when all the seats in the Legislature will again be on the ballot. “I think out of the gate you're gonna see a Senate Democratic Conference that's gonna correct some of the wrongs, the missed opportunities by the Senate Republicans like voting reform and gun control, women's health,” Democratic state Senate spokesperson Mike Murphy told Gotham Gazette, suggesting the party would focus on progressive social issues at the beginning of the 2019 session if in the majority. And even as the New York Health Act that would establish state single-payer health care emerged as a hot issue for New York City progressives, among other Democrats, they will have the state’s expiring laws around rent control to deal with next year, and candidates outside of the city, like the Hudson Valley’s Pete Harckham, want much of a full two-year term to work out how a single-payer program would look, or to craft a universal health insurance program compromise with Cuomo. 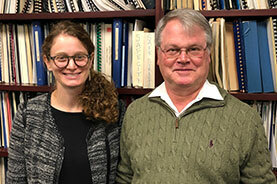 On the issues of the new federal limitations on state and local tax (SALT) deductions, which dramatically affects high-tax states like New York, the state has joined with other Democratic states to sue the federal government over the $10,000 cap that was included in federal tax reform efforts, in part on the grounds that they were targeted after not voting for Donald Trump for president. At the same time, the IRS has blocked efforts by New York and other states to get around the deduction cap by limiting the federal tax credit taxpayers would get by “donating” their property tax payments to charitable organizations designed to accept the taxes. Cuomo has been otherwise quiet about how he would solve the issue of the SALT deduction problem, which is likely to most acutely hurt high earners as well as suburban middle and upper middle class property owners, though he has said one goal is for Democrats to recapture control of the federal government and repeal the deduction cap. The governor has been silent on the question of whether the millionaires tax will be allowed to sunset next year as it's currently designed to -- it has been extended multiple times under Cuomo, in partnership with a split Legislature, and there is a significant question around how the state would make up for the revenue if it is not extended. 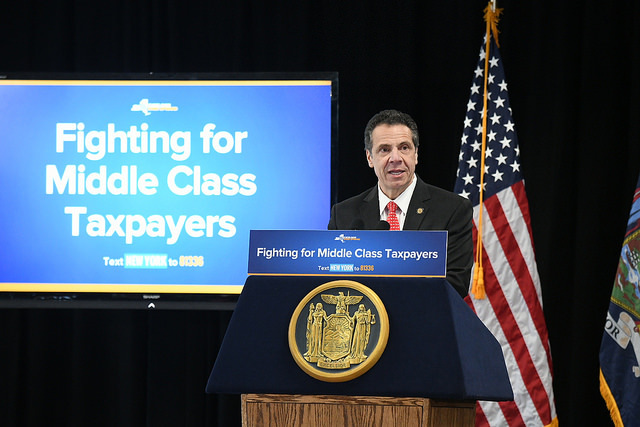 On the other hand, it affects many individuals and families that will be paying higher taxes given the new SALT cap, and Cuomo and others have expressed concern about high-income individuals leaving the state. Cuomo’s campaign did not provide an answer to multiple Gotham Gazette inquiries about the governor’s stance on the millionaires tax. Molinaro has said he would let the millionaires tax expire. His plan on the SALT deduction cap is to get rid of New York’s “tax benefit recapture” policy, a practice that charges the highest marginal tax rate for taxpayers above a certain income band, for New Yorkers making between $107,650 and $323,200, thus addressing some of the lost deductions for those earners. Tax shifts rather than cuts or increases are the most common kinds of plans on the table from both parties. On the Democratic side, Long Island’s John Brooks, running for reelection in a swing district, has offered up a plan that he says would allow areas like Long Island to get out from under high property tax bills related to education spending by capping the amount of school funding coming from property taxes at 50 percent, with any budget needs above 50 percent picked up by the state. “What Brooks is saying is we need to lower your taxes by finding someone else to pay them. But if you're in Long Island, there is no ‘someone else,’ it's you, you have the higher average incomes,” McMahon said in reaction to the proposal. There are several reasons why tapping this resource makes sense. First, the size of the cash savings to New York businesses is so large that utilizing even a billion dollars a year would just be a portion of the money newly sitting in corporate pockets, even if restricted to businesses in the New York City area. Second, unlike individual income and property taxes, business taxes remain fully deductible at the federal level. Third, the mass transit systems that deliver millions of workers to these businesses are the lifeline for that wealth, and the state’s businesses should participate in a responsible effort to address this issue, as they did in 2008 when New York business leadership supported a payroll tax. Consideration of this revenue source is by no means intended to exclude congestion pricing, which will return to the table early in 2019, during state budget negotiations. The truth is that the MTA needs twice as much, or more, than the revenue congestion pricing can deliver. The congestion pricing plan developed by the “Fix NYC” panel put together by Governor Cuomo includes a Manhattan business district entry fee that would total about $1 billion a year (excluding the new taxi/app-vehicle tax, which was enacted). 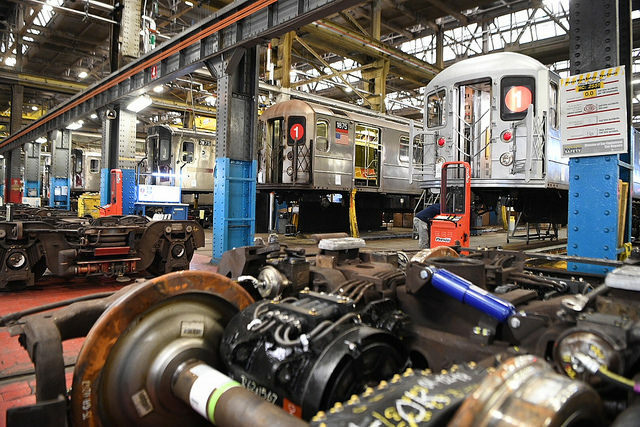 But to pay for the MTA’s current capital plan, and then pay for the new “Fast Forward” plan put forth by MTA New York City Transit President Andy Byford on top of it, will require double the size of the congestion pricing fee, and more. The board heard the dry numbers that predicted growing operating deficits from 2020 to 2022 despite 4% fare and toll hikes in 2019 and 2021. The deficit is projected to be $200 million in 2020, $400 million in 2021, and $600 million in 2022. 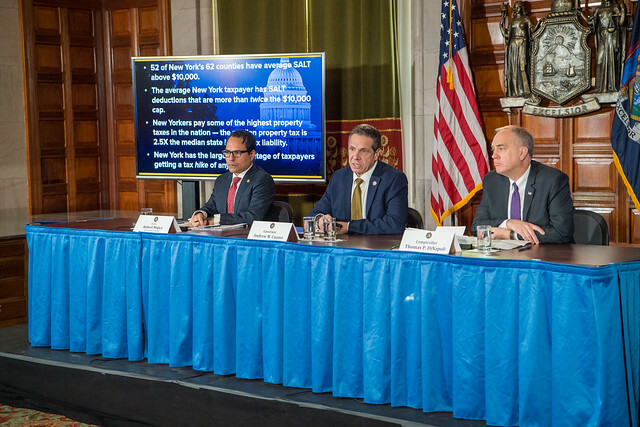 A few weeks before the board meeting, Governor Cuomo reiterated his support for congestion pricing and said the MTA needed $37 billion, the necessary portion of which he proposed the state split with New York City. This is political rhetoric. Neither Cuomo nor de Blasio wants to divert resources from their budgets to provide steep new revenue sources to the MTA. New sources of money are required. The main problem with paying for mass transit is the MTA capital budget. The MTA can manage to cover the expenses of its operating budget within the constraints of fares, tolls, and dedicated taxes, but not its capital budget. The money needed to replace track, stations, rolling stock, legacy signals, advanced signals, the expansion projects, and more requires external funding sources. The capital budget needs government grants and/or borrowed funds. Borrowed funds means paying interest, and that is a major, growing issue. When you need $37 billion, and most of it won’t come from grants, that’s a lot of borrowing and a lot of interest to pay. Congestion pricing is a necessary and essential step - but the billion dollars a year from it can pay interest on only $12 to $15 billion worth of borrowed funds. That means you’re not even halfway to $37 billion. How much new cash is businesses in New York saving from the federal income tax cuts? The New York State Tax Department knows the answer because New York’s corporate income tax is computed using the federal corporate income tax as the starting point in a business’ own New York tax filing. It will take some time to get that answer, so some back-of-the-envelope calculations are in order. How Much New Money Is Available? The New York State economy is 8% of the nation’s Gross Domestic Product. Federal corporate income tax receipts in fiscal year 2017 (before the Trump-led cut) were approximately $300 billion. 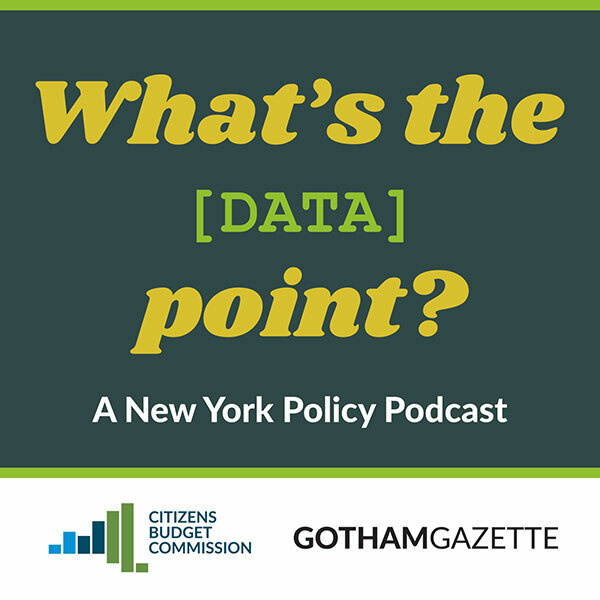 New York’s contribution to the federal receipts can be simply computed at 8% of that, or $24 billion. The federal corporate income tax just got cut 40%, going from 35% to 21%, 14 full percentage points. Federal tax savings have therefore put about $9.6 billion in new cash annually into the pockets of New York corporations, not adjusting for year-to-year fluctuations. How much of that is in the MTA region -- New York City and its suburbs? A study of New York’s regional tax and spending distribution was conducted by the Rockefeller Institute in 2011 using the state’s 2009-2010 fiscal year. That study showed that 89% of the bank income tax, and 79% of the corporate franchise tax, came from New York City and its suburbs. The figures are higher now because economic activity has become even more concentrated downstate since 2009. An estimate that close to 85% of the corporate profits taxes come from downstate is reasonable, meaning roughly $8 billion a year in new money to the region’s businesses from the federal reduction. Some of this money is not New York taxable income -- New York tax law counts out profits from sales of products and services outside New York pursuant to a formula -- but a very large proportion is New York profit. Maybe half? The New York Tax Department knows the answer. A surcharge on corporate tax liability related to New York corporate taxable income has been in place since the first MTA bailout put together by Governor Carey and the Legislature in 1982. Today it yields $1.2 billion in dedicated tax revenue to the MTA as part of the Metropolitan Mass Transit Operating Assistance Account (MMTOA). This is New York’s own tax, not related to the new cash from the federal tax cut. But the fact is that New York State has been taxing corporate profits for the MTA for 35 years. New York business leadership proposed a payroll tax in the MTA district in 2008 and it was enacted in 2009. The tax was unpopular, especially in the New York City suburbs. 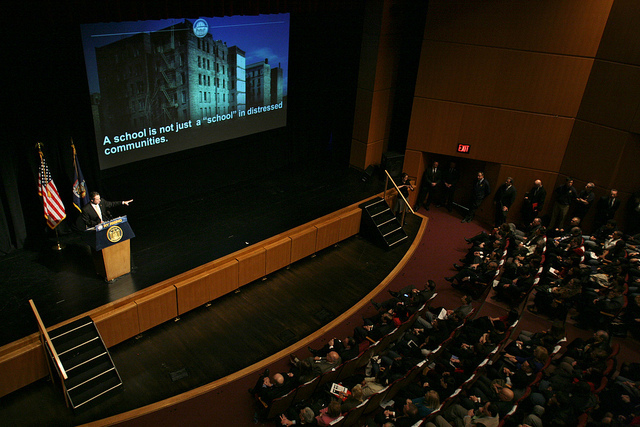 Governor Cuomo later scaled back the payroll tax in 2011 to exempt smaller businesses and organizations. It is still a major source of money for the MTA, but a separate New York 2014 corporate tax cut resulted in unexpected revenue losses for the state as a whole. In 2014 Governor Cuomo proposed cutting the state corporate income tax from 7.1% to 6.5%, as well as merging the corporate franchise and bank income taxes. The merger was supposed to be revenue neutral. The Legislature approved the proposal and added a repeal of the corporate income tax on New York manufacturing. Something has since gone wrong from this change. New York’s corporate income tax revenue has declined precipitously since 2015. The State Division of the Budget explained the sharp drop off in revenue from the combined corporate franchise and bank taxes from overpayments in 2015. But the drop off is steep: $1.3 billion, or 28%, for 2018 compared to back five years ago in 2013, before the reforms were enacted. The result of the reform was serious revenue losses. Regardless, mass transit is in crisis and there are many, many billions of new dollars from the federal corporate tax cuts. And some New York profits that had been taxable seem to have fallen off the table since a flawed reform in 2014 as well. These corporate tax savings ought to contribute to the mass transit solution. “I know that campaigns are marathons, not sprints,” he recently told Gotham Gazette, after participating in a rally in support of keeping the single-test admission system to New York City’s specialized high schools, when asked for more detail about his education platform. Molinaro, the Dutchess County executive, talked broadly about investing in communities, empowering teachers, and focusing on early interventions, but said New Yorkers would have to wait for more specifics. That sums up the state of the Molinaro campaign. He has offered a handful of policy planks, mostly around government ethics, and promised “bold” plans that will challenge entrenched interests and help make New York more affordable for homeowners. As July approaches, the candidate certainly has time to roll out his policy agenda, given he has no primary to worry about and needs to earn votes for November, when he will appear on the ballot on three party lines: Republican, Conservative, and Reform. But what policies will he run on? What does Molinaro need to do to rally the GOP base while also appealing to independents and moderate Democrats? And, how can he overcome the Democratic enrollment advantage in New York in an election that will be, in part, a referendum on President Donald Trump? Like any Republican candidate for statewide office, Molinaro faces major obstacles from the outset. There were more than twice as many Democrats as Republicans in New York as of April, with Democrats also outpacing Republicans in registering new voters. And Cuomo’s record, which includes some centrist and crossover legislative and budgetary achievements, makes it hard in some cases for any Republican to carve out turf that’s right of the two-term incumbent, but not so far to the right that he or she alienates too many New Yorkers. 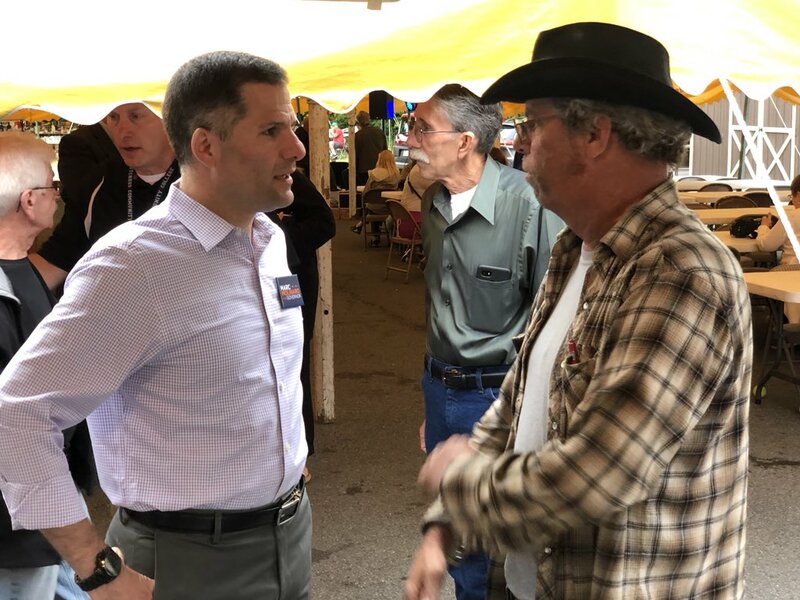 Thus far in the race, Molinaro has focused on traditional Republican themes of cutting taxes and reducing government spending. Molinaro has come out in favor of extending the state’s property tax cap, instituted under Cuomo, and recently called for the so-called “millionaires’ tax” to be phased out. Since 2012, the governor and legislature have limited increases to property taxes levied by localities and school districts to 2 percent of the previous year’s rate or the rate of inflation, whichever is lower. Bigger hikes to bolster school districts can be made if 60 percent of voters in those districts approve of them; there’s also a provision for localities to make bigger hikes. New York City is exempt from the cap, something Republicans from the city and beyond have criticized. As for the income tax rate for the top bracket -- 8.82 percent for individuals making $1 million or more and couples earning $2 million or more per year -- Molinaro wants “to have it expire over time.” The rate went up, from 6.85 percent, in 2009. Molinaro declined to state what rate he would seek for the state’s highest earners. On sports betting, legislation to legalize that form of gambling has stalled in Albany as lawmakers debate fees. But Molinaro has called for an 8.5-percent tax on sports betting if it does become legal. E.J. McMahon, research director of the Empire Center for Public Policy, pointed out questions Molinaro needs to address about his tax plan. McMahon said making the property tax cap permanent could hinge on just how Molinaro would phase out the millionaires’ tax. “You’ve gotta decide what you’re going to do with that before you decide anything else that has financial impact,” McMahon said. There’s also the question of how much political capital Molinaro would invest in perpetuating the property tax cap. McMahon noted that Cuomo and Republicans who control the state Senate say they support the move, but have not yet made it a top priority. The cap is set to expire in the 2019-2020 fiscal year. McMahon said Molinaro could signal his support for the property tax cap by making it his sine qua non for passing the state budget. “What we have now is an outmoded, outdated, and antiquated 20th-century state government at its worst,” Molinaro exclaimed. Erie County Republican Committee Chair Nick Langworthy, who has met with Molinaro to strategize on the election, suggested that cutting government spending could resonate with voters. “He needs to address the out-of-control spending of the state and the out-of-control taxes. How does he make it better?” Langworthy said. “I think he will have some bold proposals, from some of our private conversations, coming forward that probably will shake some of the vested interests to their core,” he added. McMahon pointed to the state police barracks in New York City as an example of the kind of expenditure that Molinaro could target for cuts. In a recent phone interview with Gotham Gazette, Molinaro shied away from specifying how he would trim the now-$168 billion state budget. Political scientist Richard Flanagan said the candidate could make waves by completely scrapping state investment in economic development. “He might say, ‘I’m a free market conservative and I can’t pick winners and losers. Markets pick winners and losers,’” said Flanagan, who chairs the College of Staten Island’s political science department. “That would be a bold break from the New York way. 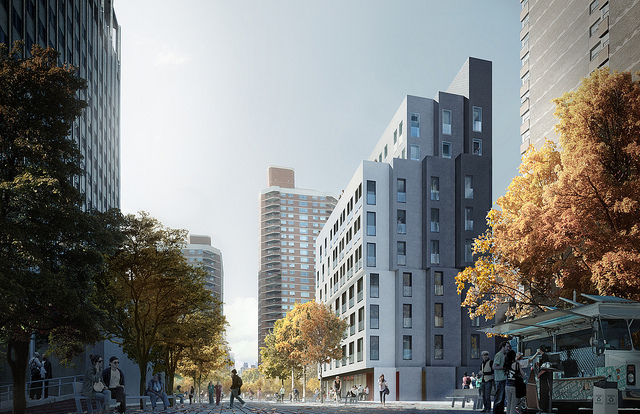 It might appeal to New Yorkers. “It’s a different approach from what Cuomo’s been doing,” Flanagan said. Indeed, Molinaro recently pledged that if he is elected governor, there will be no direct subsidies paid by government to private businesses, though he stopped short of saying he would end economic development programs. Those can include measures such as tax breaks, tax credits, space allocation, and public-private partnerships. Often in the same breath Molinaro has criticized state spending, he’s blasted Cuomo for alleged ethical improprieties, connecting the two through an alleged pay-to-play culture, where donors to the governor’s campaign are rewarded by government action. Both Molinaro and Democratic primary challenger Cynthia Nixon are trying to persuade voters that the corruption trials of members of Cuomo’s inner circle make the incumbent unfit for office. The governor’s former top aide, Joseph Percoco, was convicted of fraud and soliciting bribes in March; and Alain Kaloyeros, the mastermind behind many of Cuomo’s biggest development projects, is now on trial for corruption-related charges. Molinaro, a former state Assemblymember, has proposed a two-term limit for governor, lieutenant governor, state attorney general and state comptroller -- a rebuke of Cuomo as the incumbent seeks a third term. Molinaro says term limits would mark “a long-overdue start to restore honesty and integrity to state government.” He has pledged to serve only two terms if elected, even without a law in place. The Republican challenger has also called for a ban on campaign contributions from people and organizations with business before the state; and supports closing the so-called LLC loophole, which lets companies or individuals make virtually unlimited campaign contributions through limited liability corporations, but saying it must be done as part of comprehensive reform, indicating he favors limits on other entities like labor unions. Cuomo has voiced support for closing the loophole in the past -- notwithstanding the fact he is the state’s largest beneficiary of donations from LLCs. Cuomo has neither advanced the legislation nor voluntarily shut down his campaign’s access for LLCs, something Nixon has done. Recently, Molinaro said the Joint Commission on Public Ethics had “no integrity” as it cleared former Cuomo administration official Sam Hoyt of sexual harassment and assault. 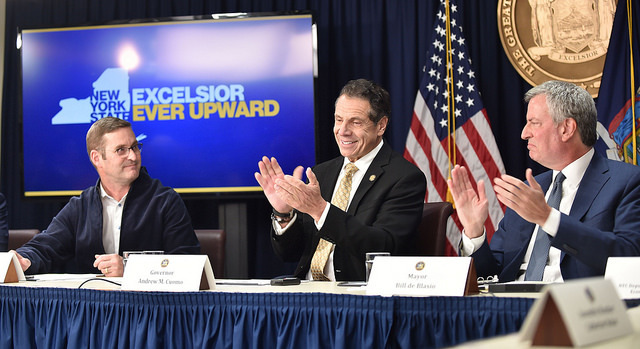 Molinaro and others pointed to the fact that JCOPE’s executive director, Seth Agata, is the third consecutive person with close ties to Cuomo to head the commission. Molinaro is making his case for reforms as 46 percent of voters statewide say corruption is a “very serious” problem, according to a February Quinnipiac University poll. But skepticism of reform proposals seems high; 62 percent of voters thought ethics laws included in the 2015 state budget would have no effect on reducing corruption. Schiffbauer added that many upstate voters already view Cuomo as ethically compromised. He said Molinaro’s challenge will be persuading residents of New York City, Westchester County, and parts of Long Island. Other than talking tough on budgeting and corruption, Molinaro regularly brings up his experience as the father of an autistic daughter on the campaign trail, a campaign he launched as county executive, and the notion that New York must become a more compassionate, inclusive place. He told Gotham Gazette he would push every executive agency to update its policies for people with intellectual and developmental disabilities, though he declined to provide details. Molinaro pointed to a program he created in Dutchess County, called ThinkDIFFERENTLY, as an example of his approach. The program, marked by a resolution of inclusive principles, has hosted free movie events and annual picnics where service providers can connect with people with disabilities. The county’s related “Think Ahead” program, a partnership with Dutchess Community College, has provided job preparation and life skills training for people with intellectual and developmental disabilities, according to the Molinaro campaign. Schiffbauer noted the issue could help distinguish Molinaro from his rivals. In his interview with Gotham Gazette, Molinaro sought to stake a claim in the red-hot MTA debate by noting the authority’s service -- specifically, the Metro-North Hudson Line -- extends through his county, where he often says upstate and downstate meet. He outlined changes he would make to the authority’s structure, calling for the board to get the power to fire its chair, a governor appointee. While new MTA New York City Transit President Andy Byford has promised to make accessibility one of his main priorities, Molinaro also called for increased services for people with disabilities. Molinaro promised as much in the interview, but asked whether he’d be willing to increase spending to help disabled people use the MTA, he demurred. Molinaro also declined to comment on Byford’s multibillion-dollar plan to fix service, which has drawn support from Cuomo. Nixon released her own subway plan at the end of last month, which is supportive of the Byford plan, but includes several mechanisms to pay for it and long-term funding of the MTA, something Cuomo has not figured out yet, though he continues to promise to pursue congestion pricing next year after he was unable to push it through the Legislature in the recently-ended session. Molinaro has not outlined his plans for funding the MTA’s long-term capital needs. The national debate on criminal justice reform has played out in the Democratic primary, with Nixon apparently pushing Cuomo left on legalizing marijuana. Before campaign season, Cuomo announced proposals including the elimination of cash bail, speeding up trials, and fixing or closing substandard jails, but he has not won passage of any of those measures. Gerald Benjamin, a political scientist and director of the Benjamin Center at SUNY New Paltz, said Molinaro could play his criminal justice record in Westchester County to his advantage. The Republican has spearheaded the creation of a jail to replace the overcrowded facility there. He launched the initiative before a state government report ranked the old jail as one of the worst in New York. While the project does not necessarily symbolize legislative reform, it speaks to management and budget decisions, and Benjamin said Molinaro’s effort to tackle the issue could earn him points. Molinaro has not made clear where he stands on issues reducing or eliminating the use of cash bail for most non-violent offenses, an issue that has some bipartisan support, and he has not indicated that criminal justice reform will be a focus of his campaign. As the general election approaches, the Democratic gubernatorial nominee, whether Cuomo or Nixon, is likely to tie Molinaro to President Donald Trump. Molinaro will also be asked to weigh in on Trump policies, statements, and controversies, though he is already loathe to do so, preferring, like some other Republican candidates around the country, to keep the focus on his race and platform. Cuomo and his representatives have repeatedly labeled Molinaro as a “Trump mini-me” and a conservative opposed to LGBT and immigrant rights, as well as other progressive principles. Molinaro says he did not vote for Donald Trump for president, claiming he instead wrote-in former upstate Republican Rep. Chris Gibson. But Flanagan, of CUNY’s Staten Island college, said that stance might backfire. Being ambivalent about Trump might alienate the president’s supporters while failing to win over any Democrats. Molinaro recently said he does not favor the Trump policy of separating immigrant families at the border, and has previously criticized the president’s “both sides” response to a white nationalist rally in Virginia and the Trump tax reform’s low threshold for state and local tax deductibility. 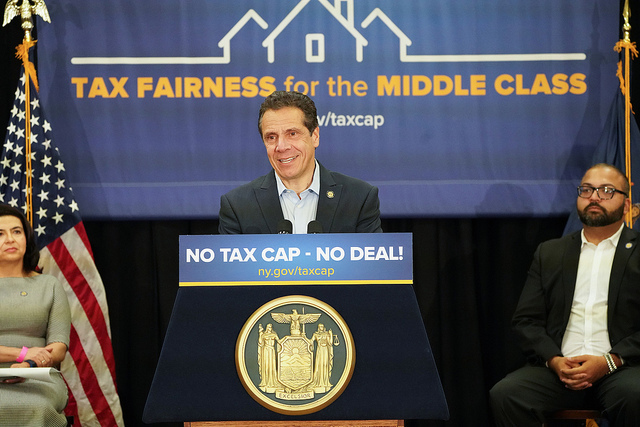 On the latter point, however, he has also faulted Cuomo and Democrats for policies leading to New York’s high tax burden on income-earners and homeowners. Conservatives interviewed for this article illustrated how tricky it will be for Molinaro to stake out his position in relation to the president. Langworthy voiced disgust at the “mini-Trump” characterization. State Conservative Party Chair Mike Long, whose party has endorsed Molinaro, said the gubernatorial candidate should embrace Trump’s economic policies. Flanagan pointed out several areas where it will be difficult for Molinaro to distinguish himself from Cuomo without going too far to the right. Perhaps no issue is more challenging for a New York Republican trying to win statewide than gun control. Cuomo’s legislation to expand the state’s assault weapons ban, among other measures, is hugely popular in New York City, and gets a small plurality of supporters upstate. But there are parts of the state that are heavily Republican and ardently opposed to the Safe Act, again begging the question of how Molinaro locks up the base while appealing to suburban moderates. Flanagan said Molinaro could chart a new course by “artfully” arguing for a system in which localities determine new gun regulations. On education, Flanagan said, Molinaro could argue for more charter schools, though it would be tough for him to distinguish himself from Cuomo, a strong supporter of charters who has secured a variety of legislative and budgetary victories for the growing sector. Flanagan also said Cuomo’s failure to deliver on promises of universal pre-K for the state could be open to criticism from the Republican candidate. It is difficult to say what lessons previous Republican runs for governor might hold for Molinaro. In 2014, Cuomo handily defeated Rob Astorino, a county executive from just north of New York City who ran on a campaign opposing Cuomo’s gun-control measures and ban on hydraulic fracking. Astorino’s gun control pitch didn’t work, and fracking has largely fallen out of the headlines. The last Republican to become governor, George Pataki, ran on promises of an across-the-board tax cut to unseat Cuomo’s father. But the campaign came during the nationwide “Republican Revolution” of 1994 -- a vastly different climate compared to Trump’s first term. Pataki did win three terms, though, and, when introducing Molinaro at the Republican state convention, said he sees parallels this year to his initial, surprise victory over an incumbent Cuomo. Which issues beyond the initial list he has offered -- taxation, state spending, unfunded local mandates, cutting business regulations, government ethics and campaign finance reform, MTA management reform, and better accommodations for people with disabilities -- Molinaro will prioritize and put forth detailed policy plans for is to be seen. It is clear a main focus will be highlighting that he is not Governor Cuomo. Molinaro’s campaign might come down to banking on incumbent fatigue, conservative nostrums, and personal charm -- the Republican candidate’s charisma helped him become mayor of Tivoli at age 19, and he has maintained a career in politics ever since.